The T2 rings are simple but fundamental accessories to use Canon EOS for astrophotography, allowing you to connect these cameras to telescopes or to various accessories such as photographic adapters, off-axis guides or focal reducers. However, for certain applications (for example, when we want to use an off-axis guider) it's difficult or impractical to install a filter (i.e. light pollution filter) as you would also filter the light sent to the autoguiding camera (making it more difficult to find a suitable guide star): this new model of "Canon EOS T2 ring with 2" filter holder" solves this problem allowing you to put in the ring a normal 46-47mm diameter filter! This is the size of a filter that you would find in filters with standard 2" threaded filter cell. So you take a 2" filter, unscrew the locking ring and take out just the glass and place it into this special T-ring. 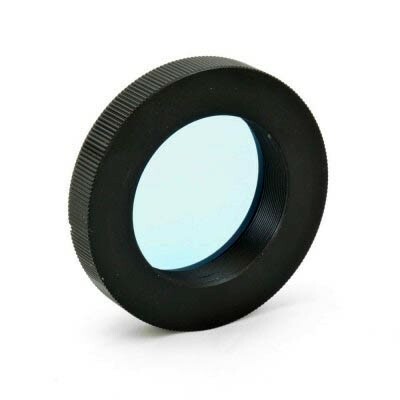 This T-ring allows to install a nominal 2" sized unmounted filter only! In reality the filter's max size is only about 47mm! You cannot screw in a 2" filter with normal threaded housing/cell as the filter will protrude too much and you won't be able to install it onto the camera. 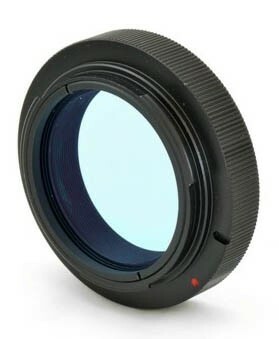 This ring solves this problem allowing you to insert a filter from a standard 2" / 50.8mm filter (without the filter stop barrel you have to insert just the 46mm diameter disc glass filter) inside the T2-ring itself. 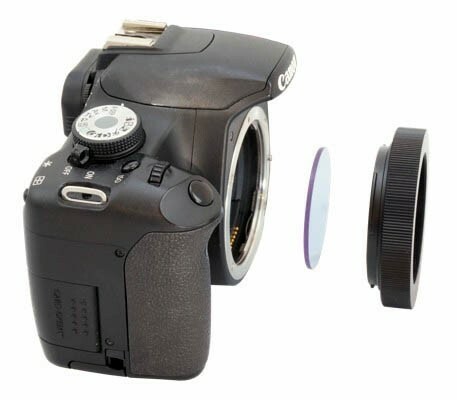 So you can remove the lens from your Canon EOS and insert the T2 ring, just as if it were another lens. In this way you do not only get, in the front of your Canon EOS, a T2 thread to connect the camera to your telescope or other photographic accessories, but you'll also have the filter positioned inside the T2 ring! All in a simple and safe way, without having to purchase additional filters for your cameras! Warning: this T2 ring is ONLY compatible with the Canon EOS models and not with other Canon cameras (not EOS series and not with EOS M). Images are for demonstration only. 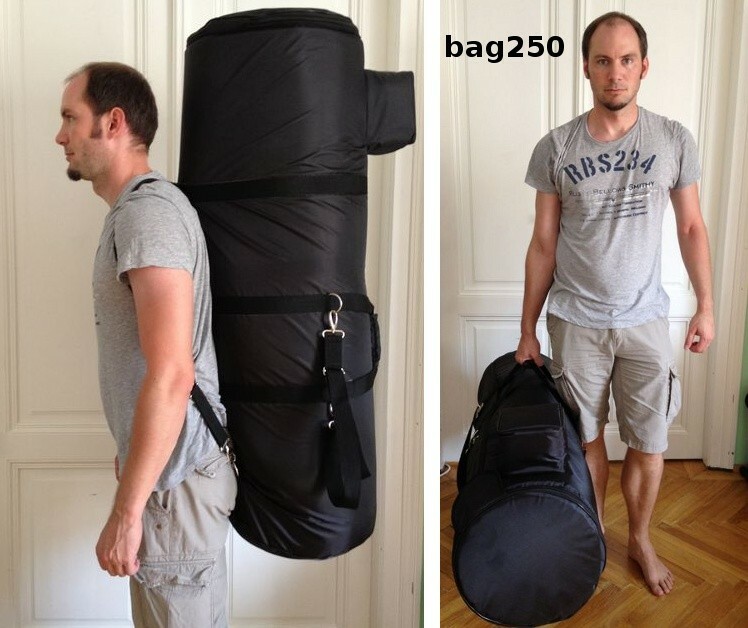 Filter and camera are not included!